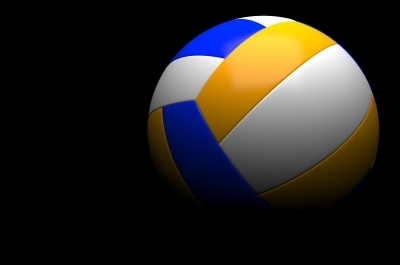 A simple game of volleyball really involves only four pieces of equipment; a net, two poles and a ball. If you hope to start up a basic game of volleyball, you don't have much to add to your equipment list. But if you're playing volleyball on a more competitive level, there is additional gear and safety equipment that can help make your match more enjoyable and safe. Here are some basic equipment recommendations based on what type of league you hope to establish. If your league is just for fun, your equipment needs will be much less extensive. If your players intend to compete at a more professional level, there is more specific equipment needed in order to make the wins and losses valid. Here are some basic equipment recommendations if you are planning to organize a recreational league. The basic equipment for these types of leagues doesn't vary much, but there are some specifics about each type of game that do vary. If you plan to play or organize an outdoor league, what type of court will you play on? Keep in mind the anchoring system necessary to hold the netting in place at your various outdoor locations. You may need to add additional roping and ground spikes to keep the net securely in place, in addition to the basic volleyball equipment needs necessary (listed above) for a successful indoor/outdoor league. No matter which type of volleyball team you need to organize, Toadvine can outfit players and stock your court from start to finish. We provide all of your sporting equipment needs. Click here to contact one of our sales representatives who will take inventory of your volleyball equipment and help you order anything that is necessary to spike your sports team performance.